New Delhi : Following the meeting of State Ministers with Union Commerce Minister Nirmala Sitharaman yesterday at New Delhi on issue of e commerce and FDI in Retail, the Confederation of All India Traders (CAIT) today sent a detailed memorandum on the issues to Chief Ministers, Finance Ministers & Industry Ministers of all States apprising them with the concerns of the trading community on both e commerce & FDI in Retail. It is reported that States have been asked to furnish their views within 15 days to Centre. We have sought appointment with Chief Ministers, Finance & Industry Ministers of all States and CAIT delegations will meet them and will submit concerns of the trading community-said Praveen Khandelwal, Secretary General of CAIT. 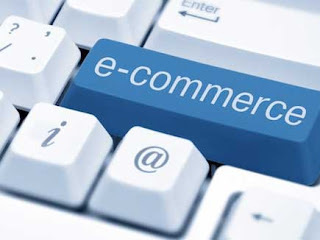 The CAIT is opposing FDI in any segment of retail including e commerce and has demanded the Government to formulate specified Laws, Rules & Regulations for e commerce business in India. In a competitive market, how can one segment be given a free hand to play as per its choice. So far in absence of any policy, the e commerce players are engaged in business activities in a manner they like, much to disadvantage of brick & mortar shops. It is a case of big capital v/s. livelihood of tens of millions of people in the Country, said Khandelwal.